Deal your guests a great hand at your next event when you offer them a fabulous pack of cards as a gift from our Vintage Design Collection. 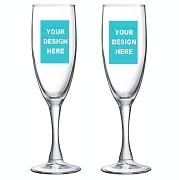 They can also be personalized to match the theme of your event and table decor setting. The full playing card deck is a quality product and is contained in a hard and durable molded plastic case. The case opens like a book to reveal the cards inside. 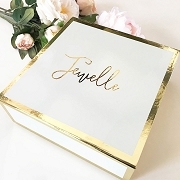 Personalize the lid of the case with a vintage style label, designed by you, in colours and themes to match your special event. The labels come on pre-cut sheets and are easy to peel off and stick onto the lid of the case. 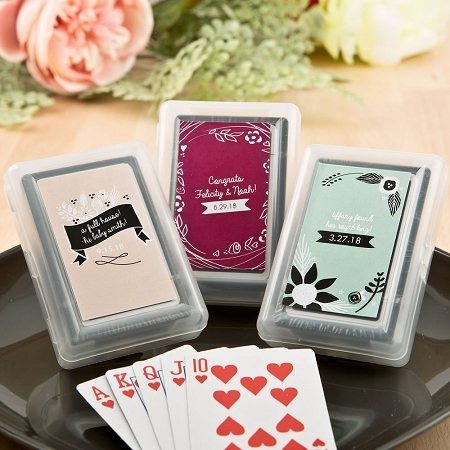 Size is 2.5" x 3.75" x 0.75"
Deal your guests a great hand at your next event with a set of playing cards! 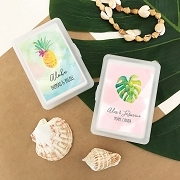 Fun and clever party favor. 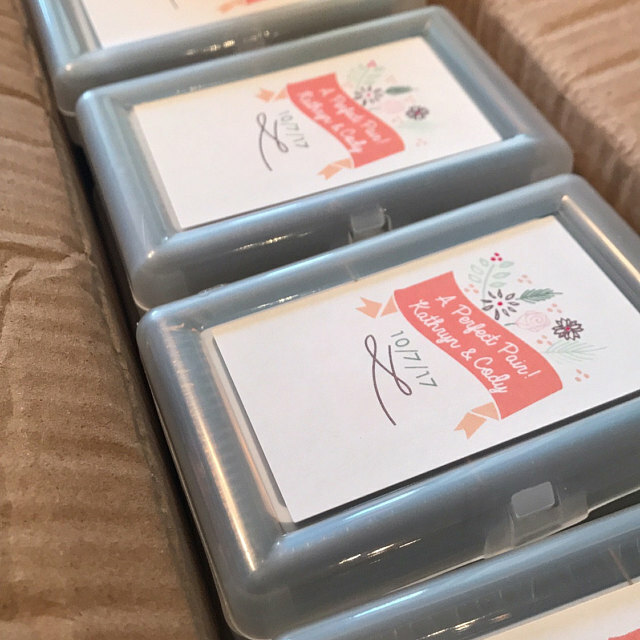 Easy assembly and beautiful print job on the personalized label. Fast shipping and excellent customer service with equally fast response on needs. Will use again for future needs and recomend to others for sure. Thank you for helping us make our wedding more personalized and fun! -Laura B. Great quality, fast shipping! 100% recommend! The shipping time was great, everything arrived as expected and the stickers are really cute! I got the deck of cards for my friends shower. It came in less about a week and every one loved them. 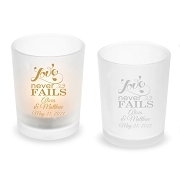 Wedding favors for my wedding next month.